While we were stationed near Anchorage to resupply and run errands, we took a quick day trip to Talkeetna, heading back up the Parks Highway. 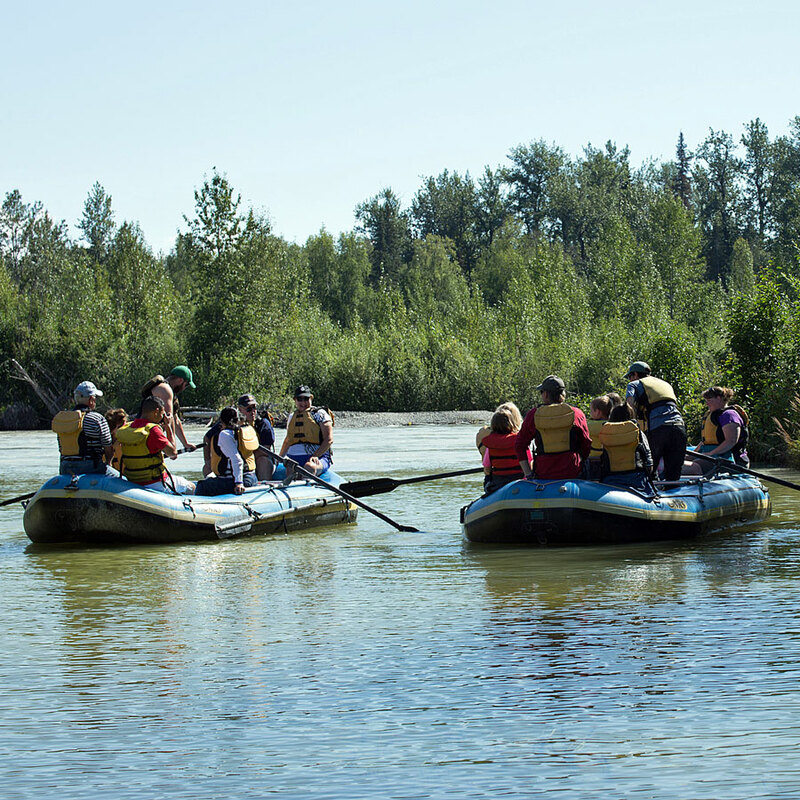 We had initially wanted to take an overnight trip to visit both Denali National Park and the town of Talkeetna, but when we realized what a time commitment Denali would be, we decided it would be better to relax with a rafting trip down the Talkeetna River. We booked with Talkeetna River Guides. Our guide PJ was fantastic, and Dana, who booked our tour, personally offered to watch Gabby while we were on the water for a couple of hours. Far from a white-water rafting trip, this was eight miles of smooth sailing past beaver dams, alongside berry bushes and under eagle nests. Can you spot the eagle in the nest? 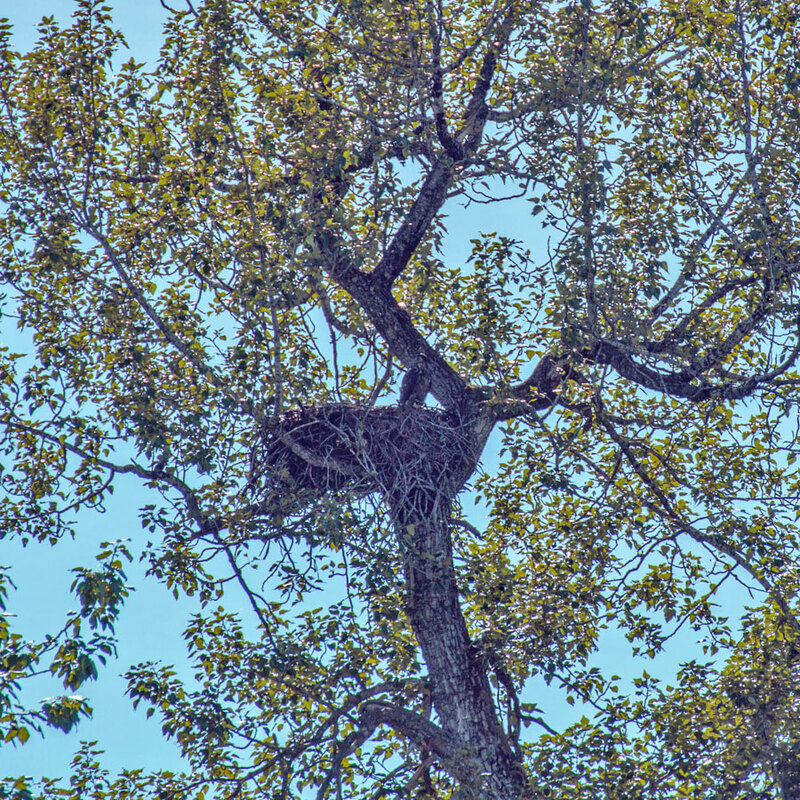 Although it's difficult to see the eagle perched in the nest in the photo, the explanation of what we were seeing from our guide was pretty impressive. We stopped on the banks of the river for a musical break, learning about the cultural history of the area while hearing some banjo tunes. 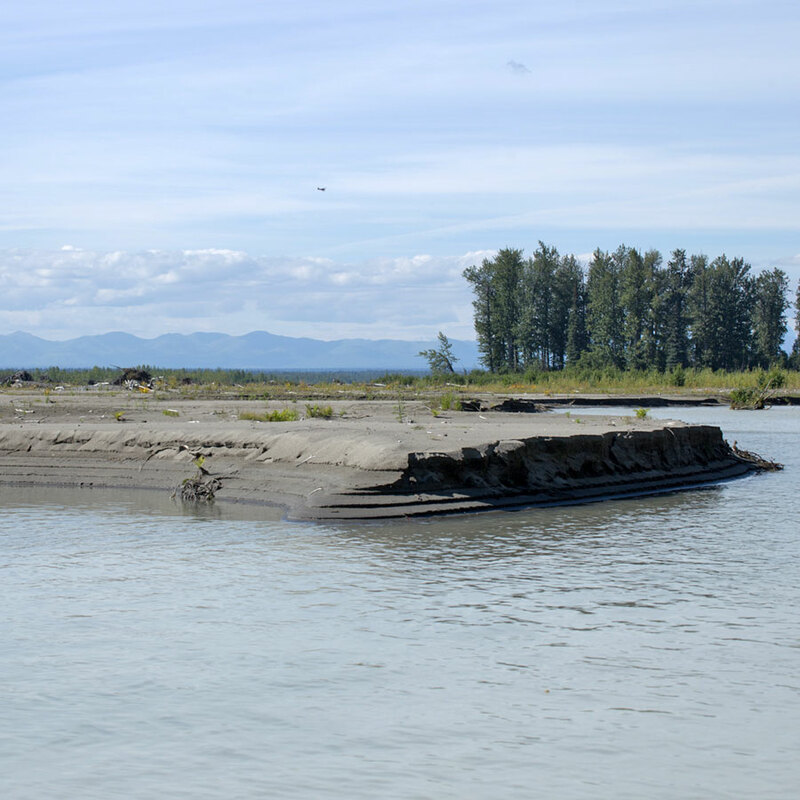 Then we moved towards the confluence of the river, where the Talkeetna meets the Chulitna and Sustina Rivers. Here, silty banks surrounded us instead of trees. Finally, we rounded the corner and there was Denali. Our guide let us know how lucky we were to be able to see Denali clearly. It's definitely not every day that North America's tallest mountain reveals itself from behind a curtain of clouds. We reunited with Gabby and spent a few minutes looking around the town of Talkeetna. It's a cute place that is worthy of far more attention than we gave it, but then it was back on the road to reuinte with Bo and Serenity. 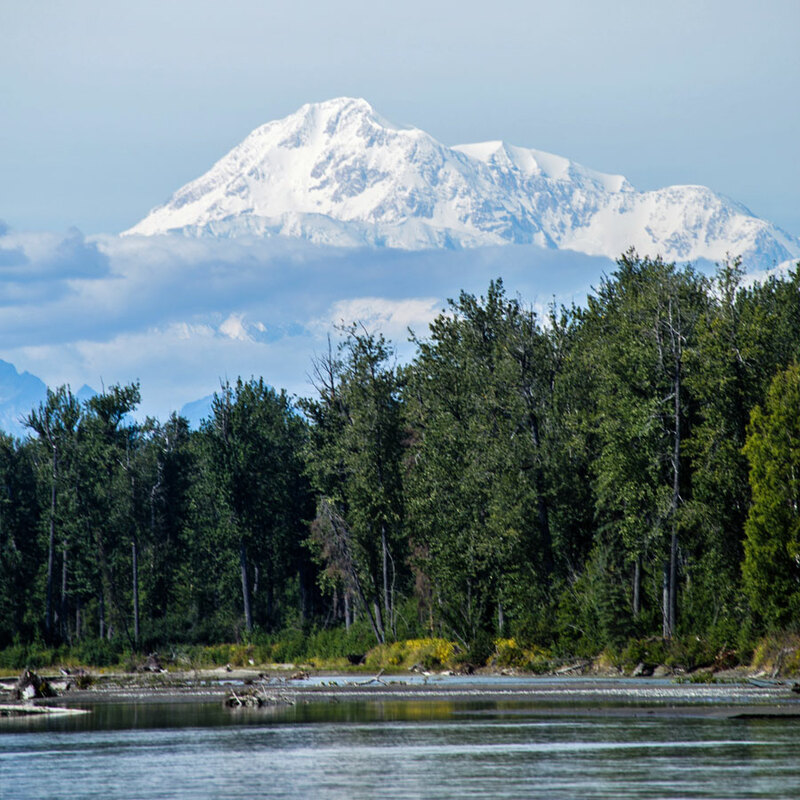 Have you visited Talkeetna or taken a river rafting trip? What was your experience like?